Enter the 2011 Metropolis Next Gen Design Competition! Calling all eco designers, sustainable builders, and green architects! Our friends at Metropolis Magazine recently launched their 2011 Next Generation Design Competition, and we’re thrilled to announce that this year’s challenge is to create a zero environmental footprint for a GSA office building in downtown Los Angeles! 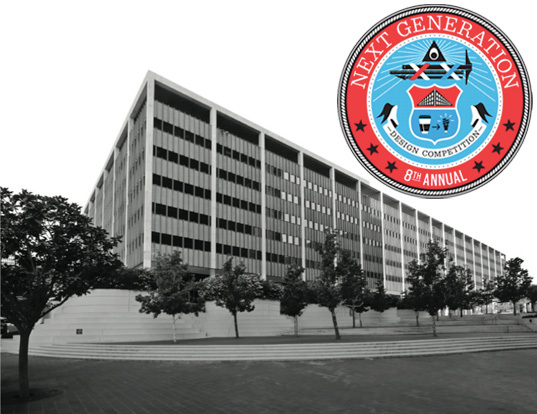 They’re looking for creative approaches to renovating this aging 1960’s federal building into a paragon of environmental efficiency and they’re offering a $10,000 grand prize for the best and brightest solution. The contest deadline is January 31st, 2011, so get cracking today!